Reanim repairs broken furniture with pieces that create a stark contrast with the rest of the form. It’s as if these chairs went through some odd science experiment by a genius doctor and came out with new and improved parts. It makes me want to know more about how these chairs were damaged in the first place and what meaning the had to their owners. I’m not quite sure why this draws me in so much, but I love this look and idea. 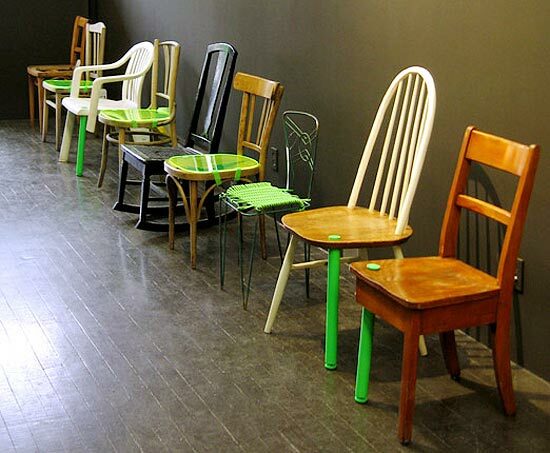 I would love to try and figure out a way to apply this idea to other pieces of furniture besides just the chair.